Remember our pals Shadow and Brodie? 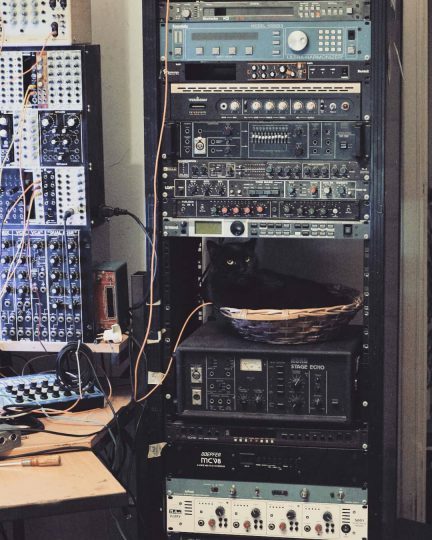 Well, we have another photo of them honing electronic music skills. Via Shadow’s Facebook page. Sadly, Shadow passed away in February. This is heartbreaking news, and our thoughts and condolences go out to his humans, as well as his feline brother who must miss him dearly. 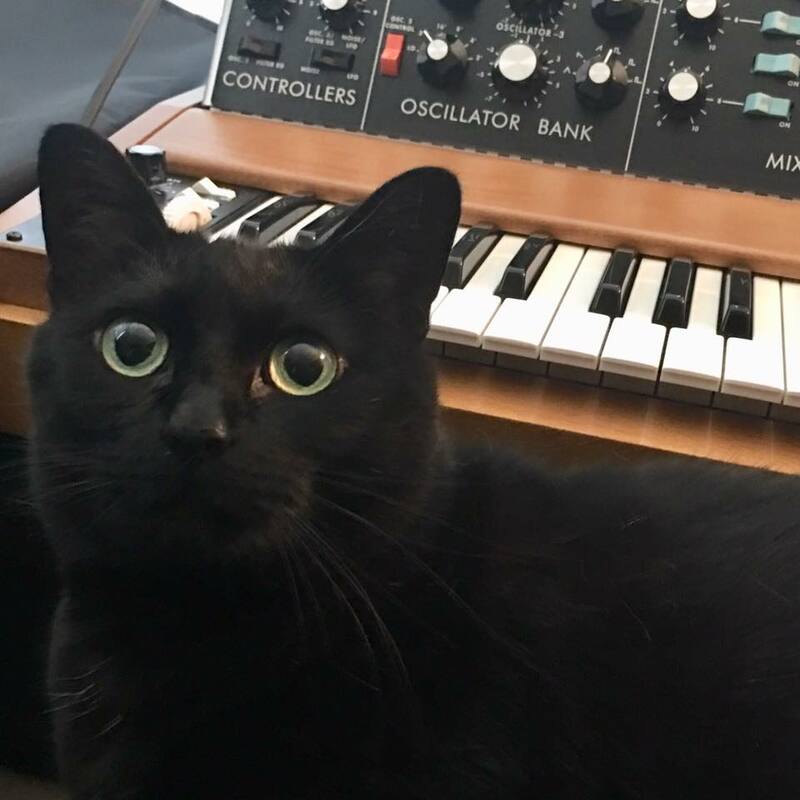 Dexter sits atop a vintage LinnDrum. 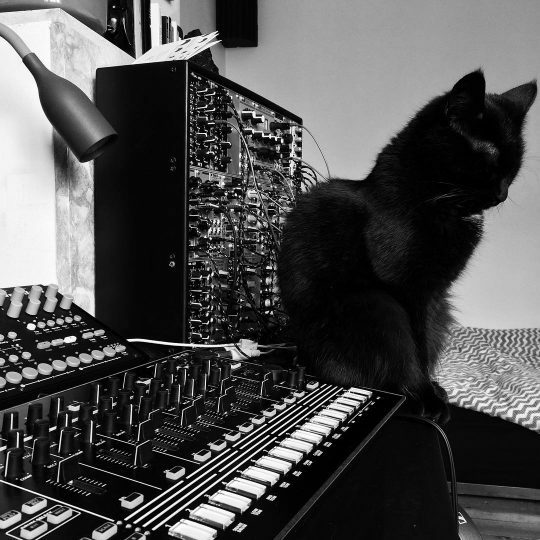 Quite a prize of an instrument for feline and human alike! From Peter Fitzpatrick via our Facebook page. Now resident in @Circuit3’s studio. You can find out more about Circuit3 at their official website. Here is a sample of their music. Yesterday was “303” day – the date is 03-03 whether you use American or every-other-country format. 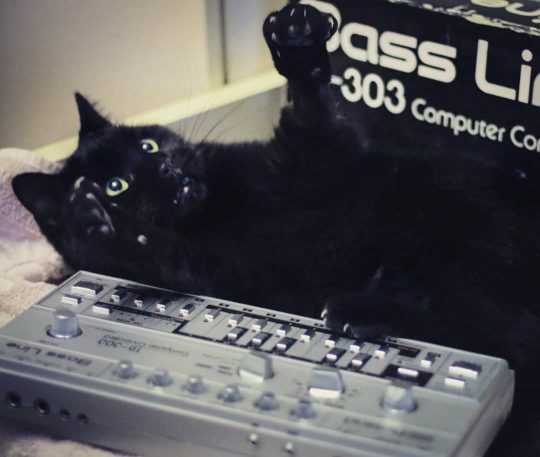 And our friend Marcel is posing with a genuine Roland TB-303 for the occasion. From Eric at polynominal.com via Facebook. 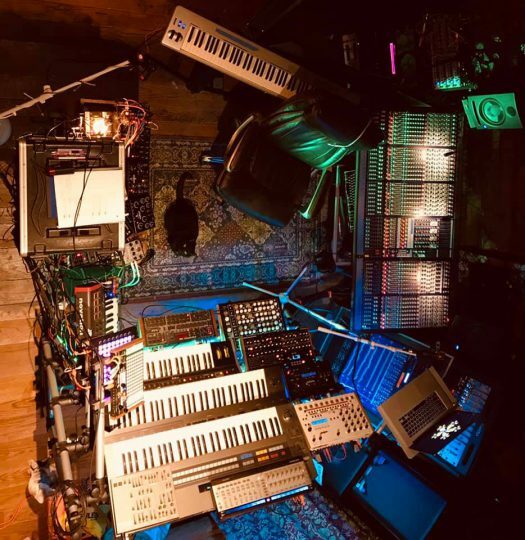 The TB-303 has become a prized instrument, so much so that multiple hardware and software clones have been created to meet the demand. 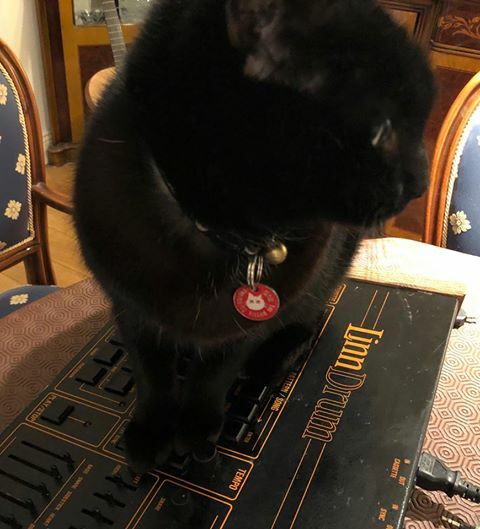 Roland even came out with a TB-03 for its Boutique line. 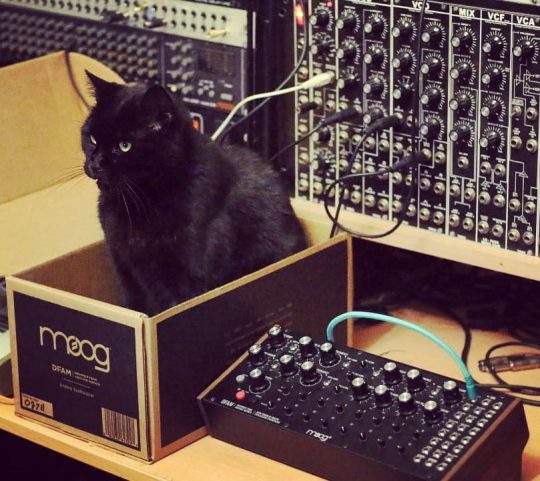 A new Moog DFAM (Drummer from Another Mother) has arrived at the home of our friends at polynominal.com in Italy. But Marcel is clearly more interested in the box. 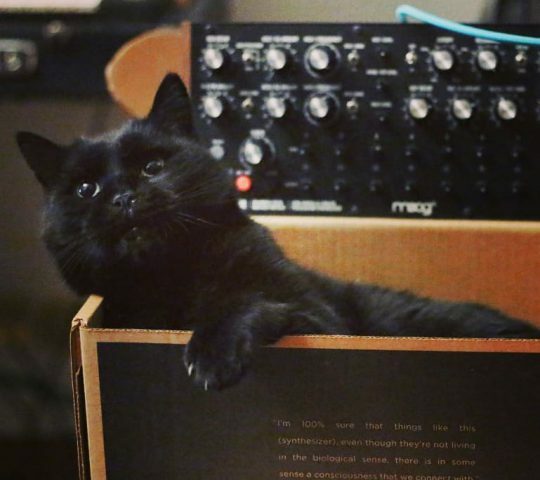 Yes, even synth cats love boxes! 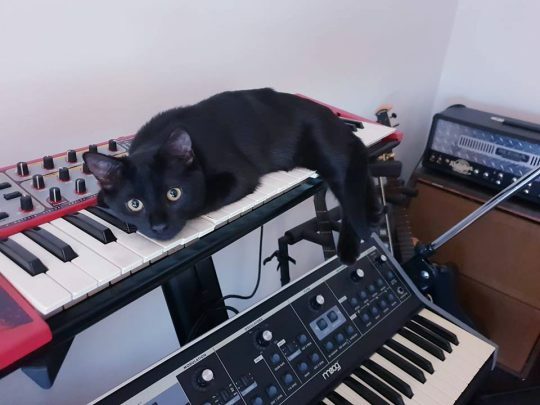 This adorable black cat has found a nice spot to rest on a Nord Modular, which happens to sit above a Moog synthesizer. From Pete Crane via Facebook. 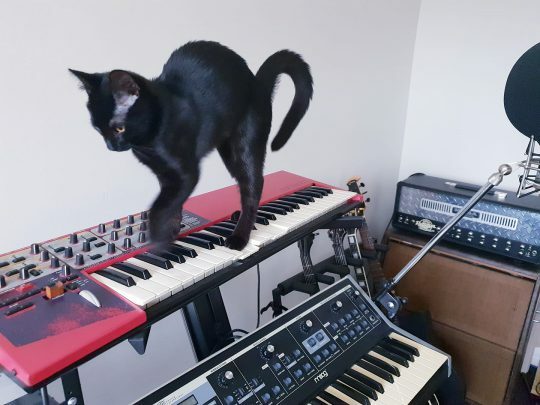 Syd struts down a Roland Juno 60 with maximum floof effect. 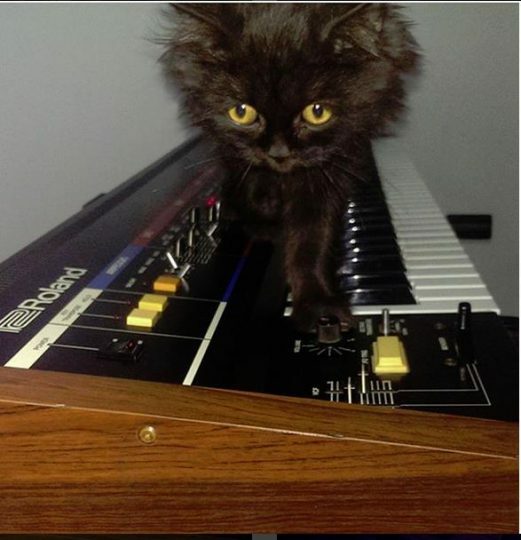 From Moustafa Ismail via the Facebook group Synthesizer Freaks. Among the first in Roland’s amazing Juno family! Six analog voices of polyphony and patch memory storage!! The Juno-60 sounds great, however, like the Juno-6 it lacks MIDI control. The Juno-60 includes 56 patches of memory storage. The Juno-60 is still popular due in part to opinions that it sounds better (punchier) than the Juno-106. 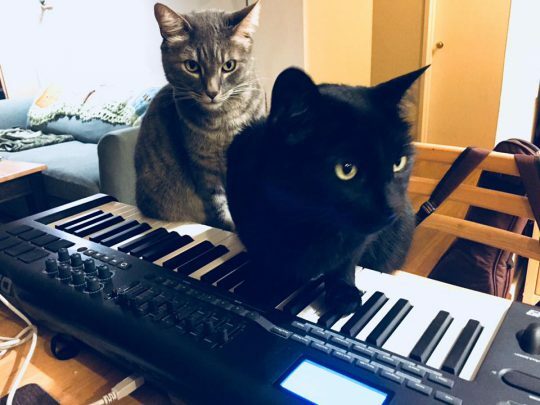 The Juno-6 and 60 are very rich sounding synthesizers and are great analog machines as long as you can withstand the absence of MIDI control.